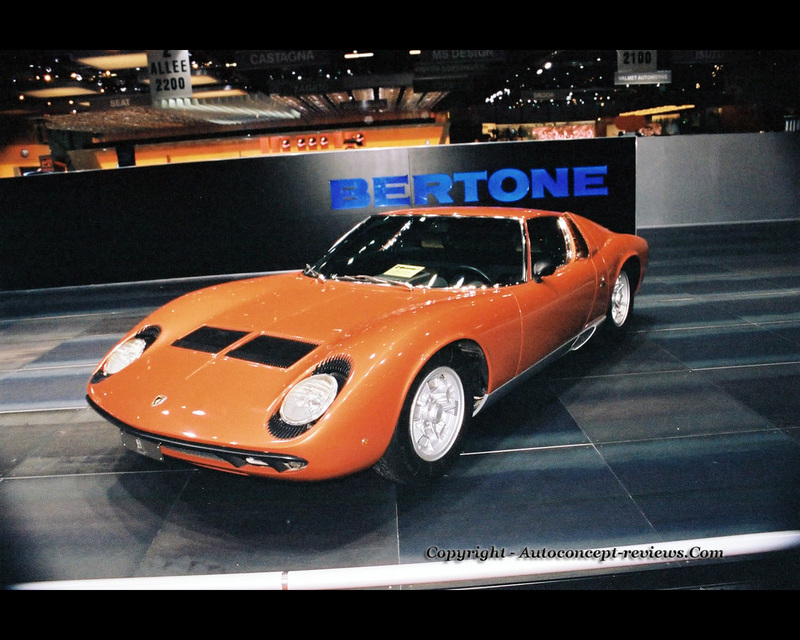 The Lamborghini Miura's first public appearance occurred at 1965 Turin Motor Show; there was only a steel monocoque chassis structure with operating components and that is quite unique a fact in car history. The engine was from the Lamborghini 400 GT, a 4 litre V12 but it was mounted in transverse orientation just in front of the rear axle. This central position was intended to optimize the weight distribution. The 5 speed ZF gearbox was installed under the engine. The position of the engine transmission allowed for a small luggage compartment while maintained a limited overall length. Let us remember that, at the time, only British Motor Corporation adopted such a layout and it was for the Mini sedan launched in 1958 with a small four cylinder engine placed at the front end. 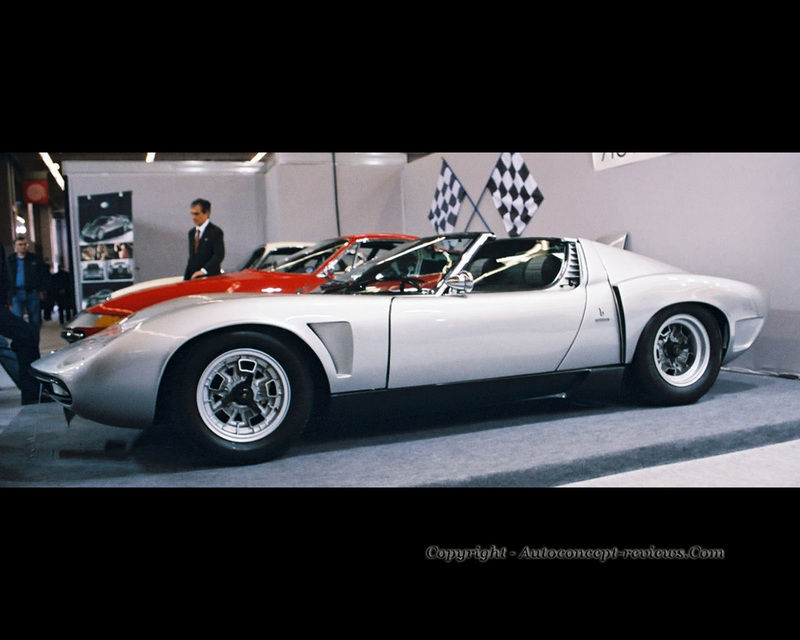 The evolotion on the track has always been showing the trends for exclusive GT cars; endurance racing cars with gradual change from front engine rear wheel drive to rear engine rear wheel drive , illustrated by the Ford GT40, have certainly had a clear influence on the layout selected for the Lamborghini Miura. Already some orders were registered on occasion of the presentation of this bare chassis. The chassis was made of welded perforated steel plates. 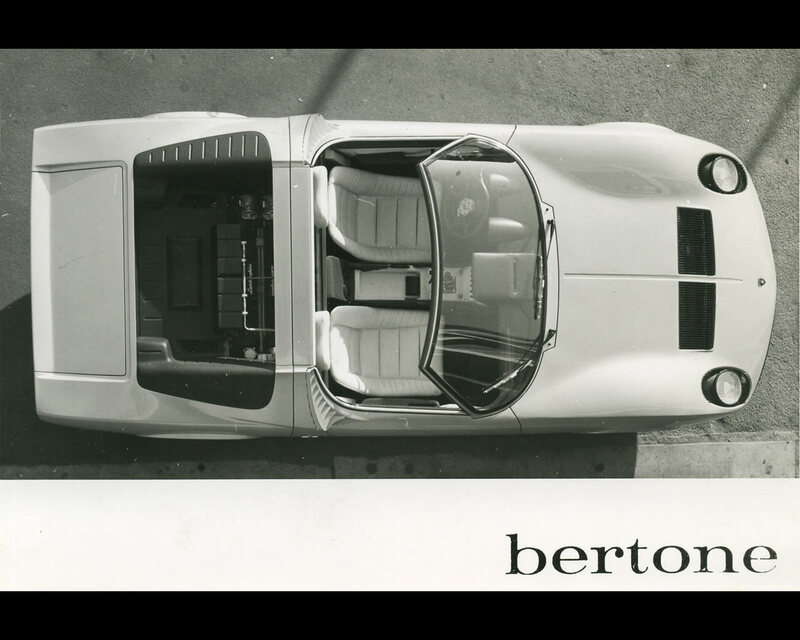 Carrozzeria Bertone was commissioned for the body and this now classic sport car design was elaborated by Gandini. The complete car with its exceptional styling was first introduced at Geneva Motor Show in 1966. Several versions followed with different power level produced by the 3929 cc V12 engine. The proposed power output started at 350 hp at 7.000 rpm and could reach 450 hp at 8.500 rpm for high performance versions. A roadster version also appeared with removable roof. Claimed top speed for the 450 hp version was 320 km/h.